Ursula Dalinghaus is an economic anthropologist whose research specializes on money and everyday experiences of monetary policy in Germany and the European Union. After completing her Ph.D. in Sociocultural Anthropology at the University of Minnesota (Twin Cities) in 2014, Ursula held Postdoctoral Scholar and Assistant Researcher positions at The Institute for Money, Technology, & Financial Inclusion (IMTFI) at the University of California, Irvine, where she worked with IMTFI-funded researchers conducting multidisciplinary projects on the intersections of new mobile technologies, digital finance, and traditional monetary practices in the developing world. She is currently a Visiting Professor of Anthropology at Ripon College in Wisconsin. 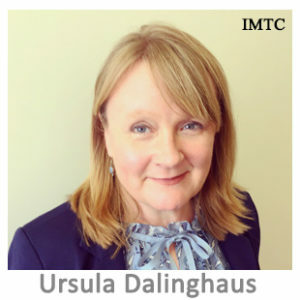 Dr. Dalinghaus is the author of “Keeping Cash, Assessing the Arguments about Cash and Crime,” published by the International Currency Association (ICA)/Cash Matters in collaboration with IMTFI. Ursula is completing a second white paper for Cash Matters on cash as a “public infrastructure” with the goal of providing a framework for analyzing the complementary use of cash alongside digital and outlining recommendations for policy makers, researchers, and the general public on key issues for sustaining cash infrastructures and access.